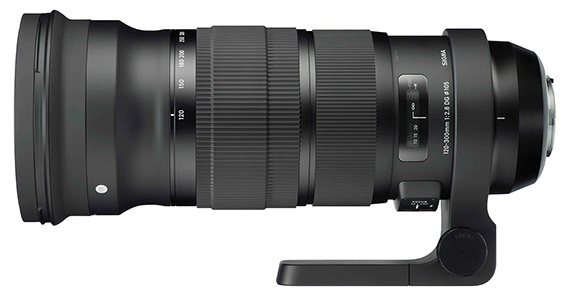 Sigma officially announced the pricing and availability for their new 120-300mm f/2.8 DG OS HSM lens: shipping in the US will start in early May for $3,599. The new Sigma USB dock is priced at $59 and it will also start shipping in early May. RONKONKOMA, N.Y., — April 24, 2013— Sigma Corporation of America, a leading researcher, developer, manufacturer and service provider of some of the world’s most impressive lines of lenses, cameras and flashes, today announced the pricing and availability of the Sigma USB dock and the company’s newly redesigned 120-300mm F2.8 DG OS HSM from the Global Vision Sport lens category. The updated 120-300mm F2.8 DG OS HSM lens will be available in early May for the street price of $3,599 in Sigma and Canon mounts. The USB dock, which is compatible with lenses from Sigma’s new Global Vision lineup, will also be available in early May for the street price of $59. With redesigned mechanics and performance, this Sports lens is an update from its predecessor released in February 2011. With a maximum focal length of 300mm and a wide-open aperture of F2.8, this lens eases difficult shooting conditions. It is dust and moisture resistant, and allows users to switch between two custom settings created via the USB dock. The 120-300mm lens has been redesigned and quality-control tested with Sigma’s proprietary modulation transfer function (MTF) “A1” measuring system as part of Sigma’s new Global Vision category restructuring. Under the new Sports category, the lens also has the manufacturing year stamped on the barrel. 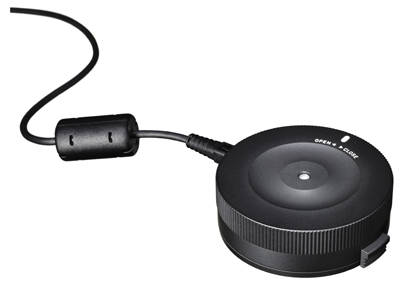 The Sigma USB dock, an industry first, works in conjunction with Sigma Optimization Pro (SOP) software to connect a photographer’s lens to their personal computer and the internet to update firmware and other parameters. The AF speed, focus limiter and OS function are also customizable for Sports lenses, such as the 120-300mm F2.8 DG OS HSM. Upon arrival of the products, SOP will be available via a downloadable copy online here. A video demonstration of SOP software is available here.